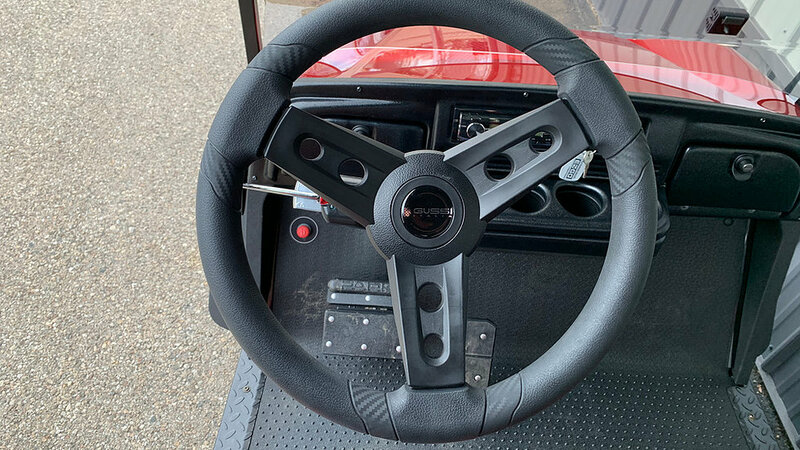 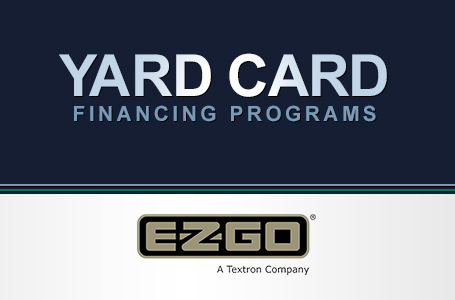 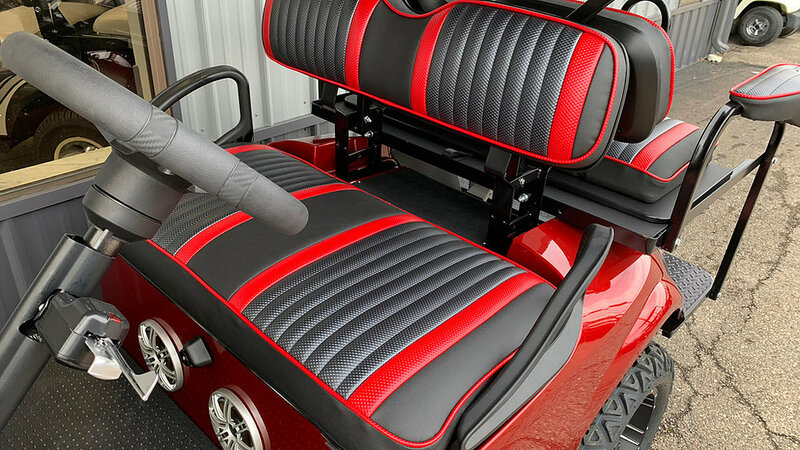 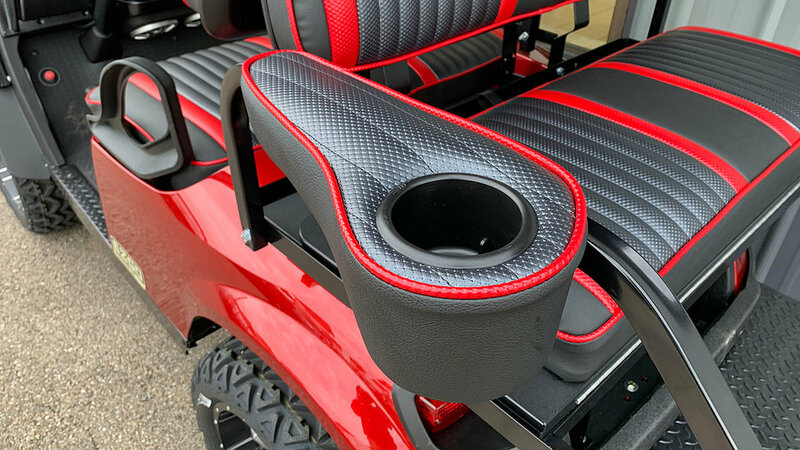 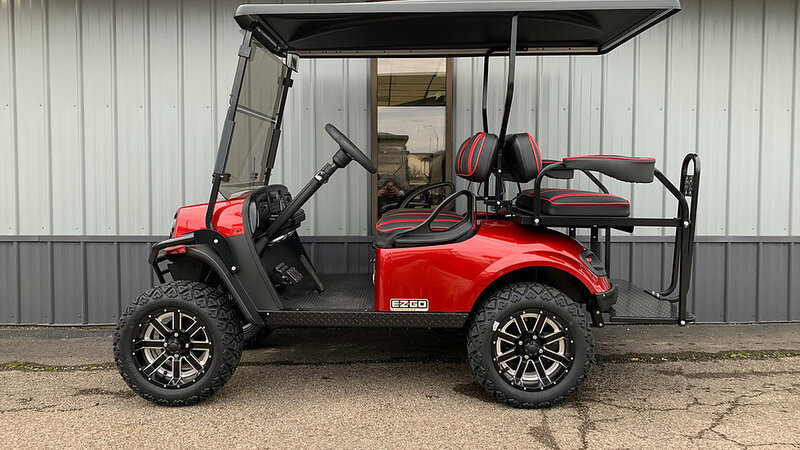 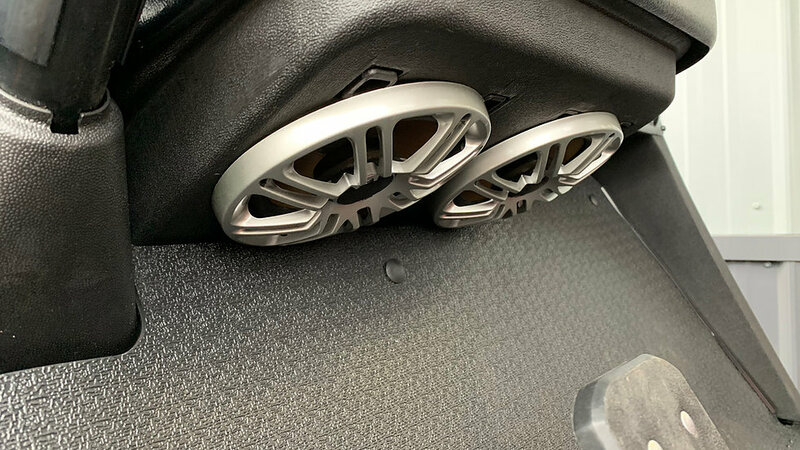 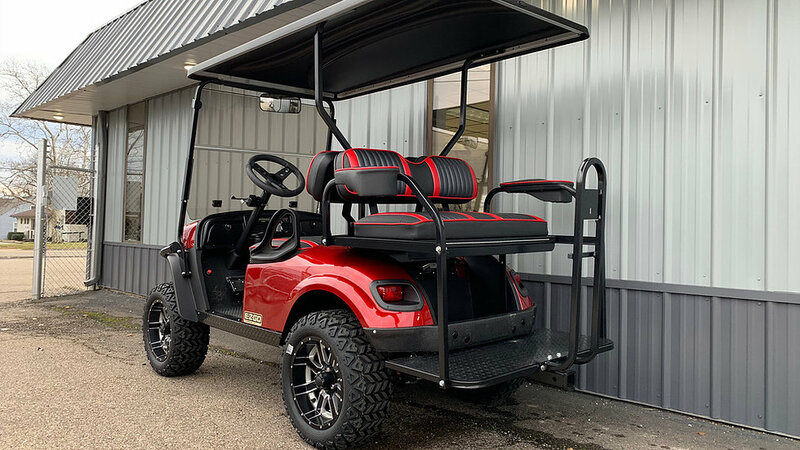 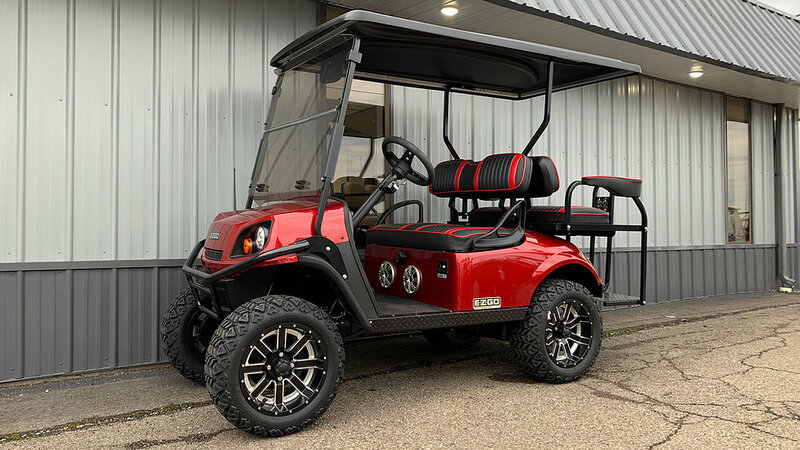 2019 E-Z-GO EXPRESS S4 GAS Golf Car. 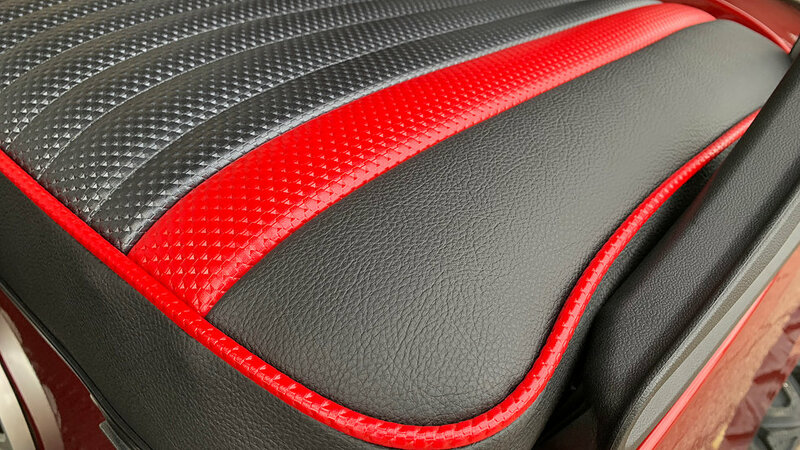 Color: Inferno Red. 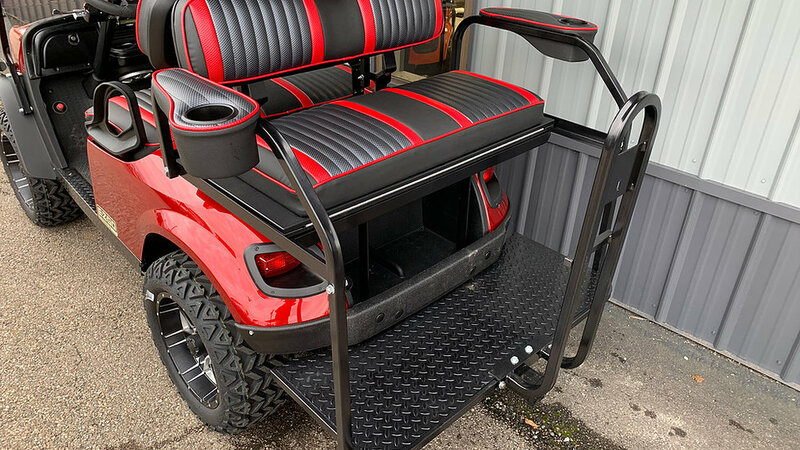 Factory Street Ready Package, Headlights, Taillights, Turn Signals, Brake Lights, Mirror, Windshield, Rear Flip Seat, Safety Grab Bar, 14" Mamba Wheels, 23" Backlash X Tires, 80" Extended Red Top, Custom 3 Tone Seats, Fuel Gauge/Oil Indicator Light, 13.5 HP Kawasaki Engine, 2 Year Factory Warranty, Inspected with Title. 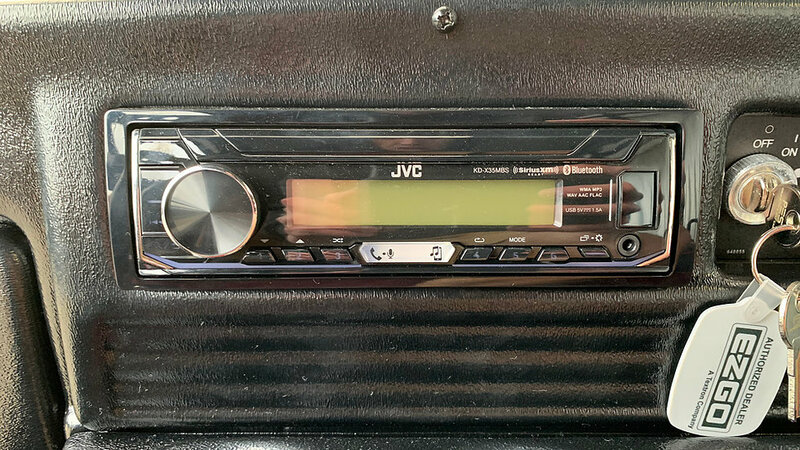 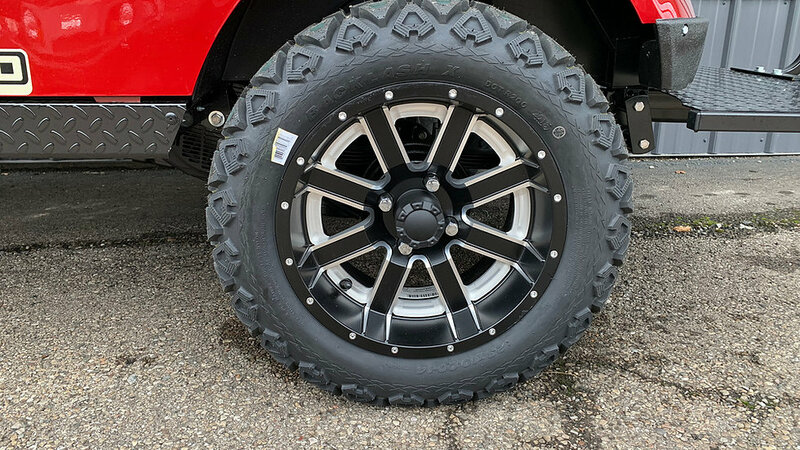 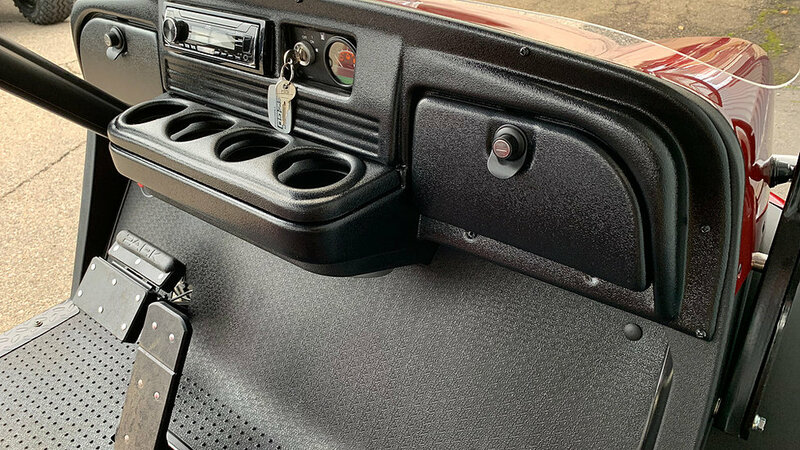 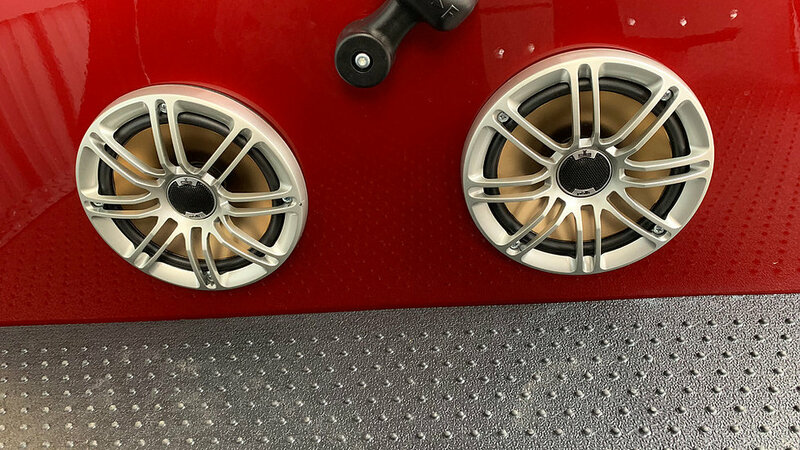 JVC/Kennwood Marine Grade Stereo, 2 Polk 5.25 Marine Speakers, 2 Polk 6.5 Marine Speakers, Rear 2" Hitch Reciever, Black Dash with Glove Boxes, Premium Gussi Steering Wheel, Custom Rear Seat Cup Holders.